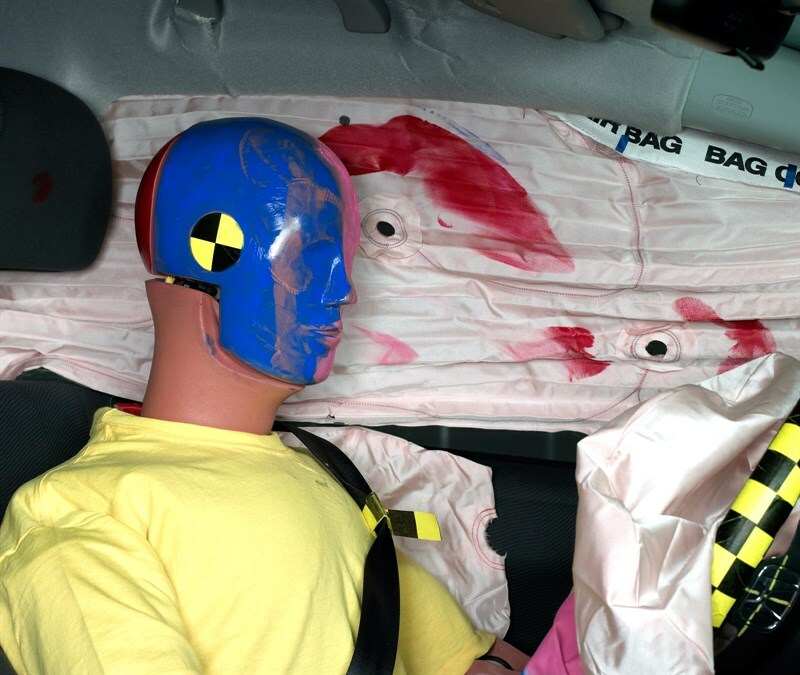 The Tracy Law Firm on Monday conducted the first of three IIHS moderate-overlap crash tests designed to test collision repair conditions. 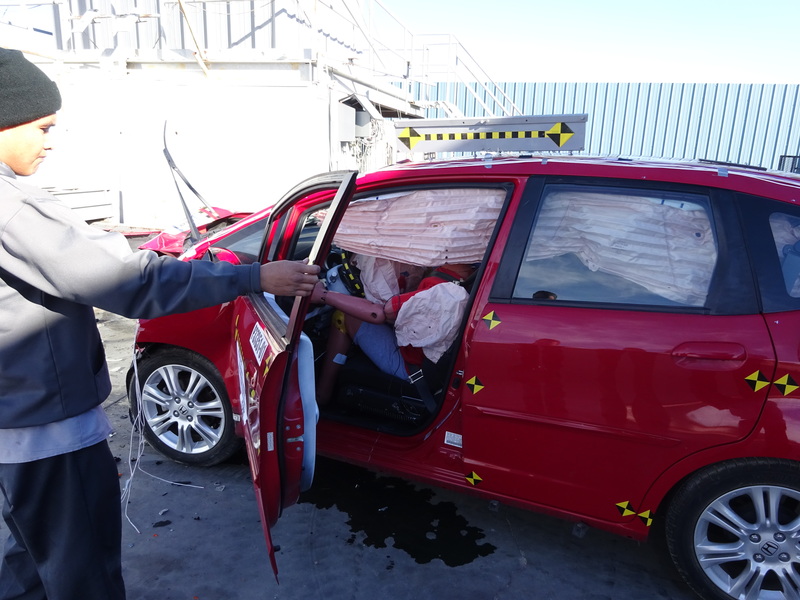 Monday’s 40 mph test crashed a 2009 Honda Fit into a honeycomb aluminum barrier covering the driver’s side 40 percent of the front of the car. The Fit had been “repaired” to mimic the conditions found on a 2010 Honda Fit — which is structurally identical to the 2009 Fit — owned by attorney Todd Tracy’s clients Matthew and Marcia Seebachan. 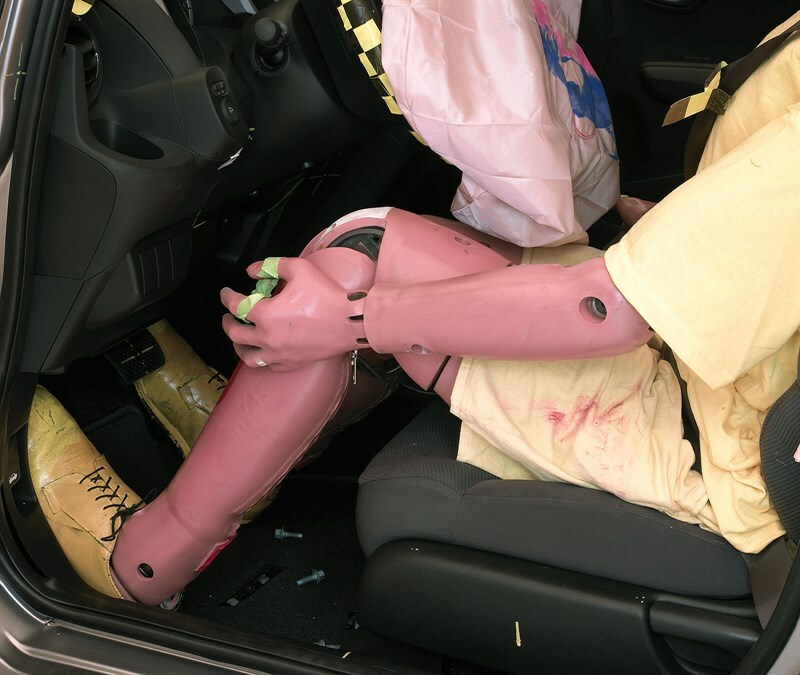 A Dallas County jury found that John Eagle Collision Center’s failure to follow OEM repair procedures for the Seebachans’ Fit increased the severity of a collision which seriously injured the couple. 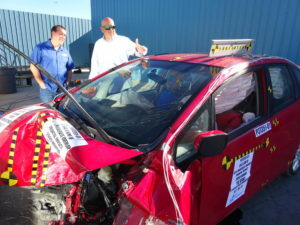 Texas repairer Burl’s Collision took an undamaged 2009 Fit and attached the roof panel with 3M 8115 panel bonding adhesive — instead of the dozens of welds required by Honda. 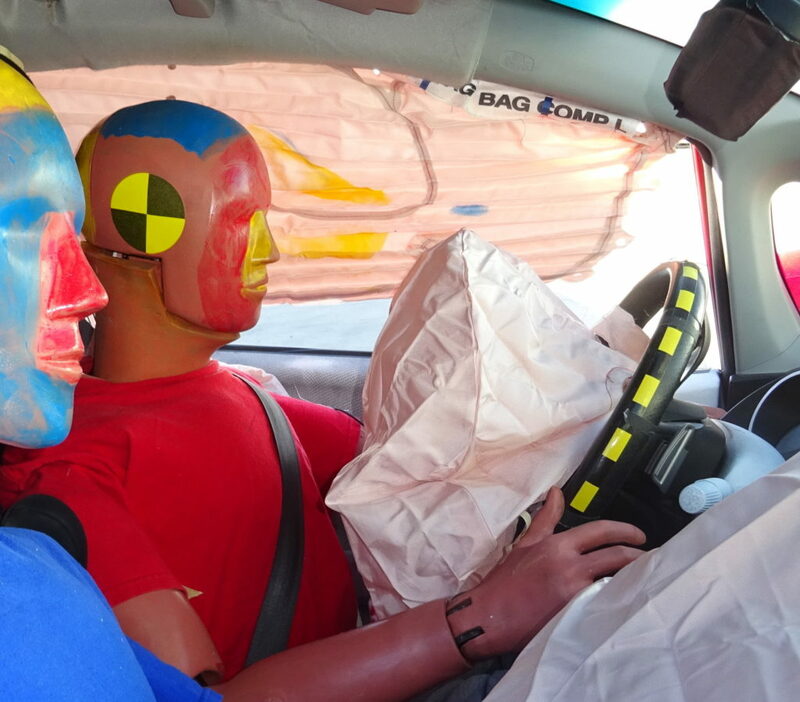 It also installed an aftermarket windshield and simulated other alleged John Eagle Collision repairs not approved by the OEM. Karco performed the test Monday. Results should be ready by the end of January 2018. Here’s the footage of the Karco test and the IIHS’ footage of its test. An expert for the firm said the Fit underwent conditions similar to the moderate-overlap test, though that crash involved the Seebachans T-boning a hydroplaning 2010 Toyota Tacoma in 2013 in a 75 mph area. 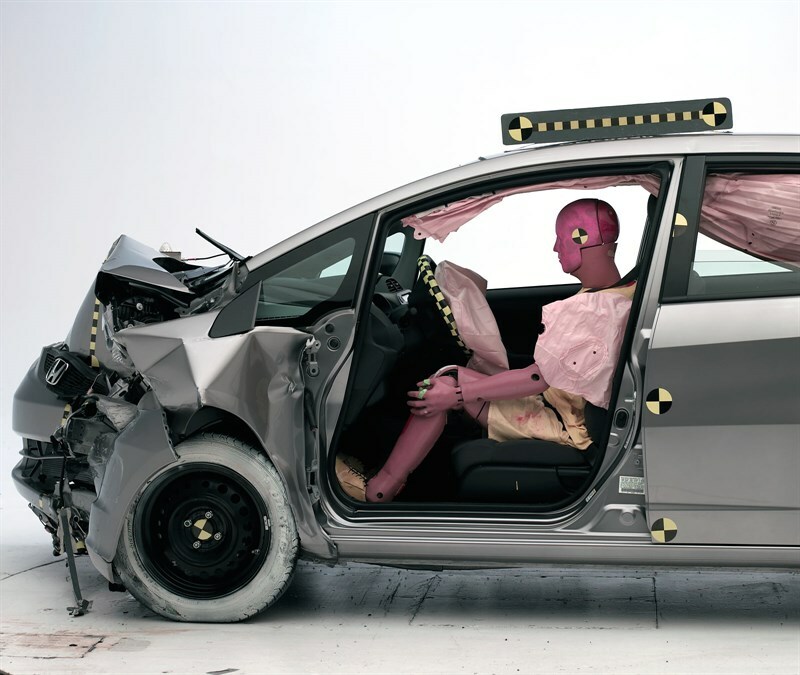 The 2010 Honda Fit has a “good” 40 mph moderate-overlap crash-test rating. Here’s some other footage from Monday’s test. 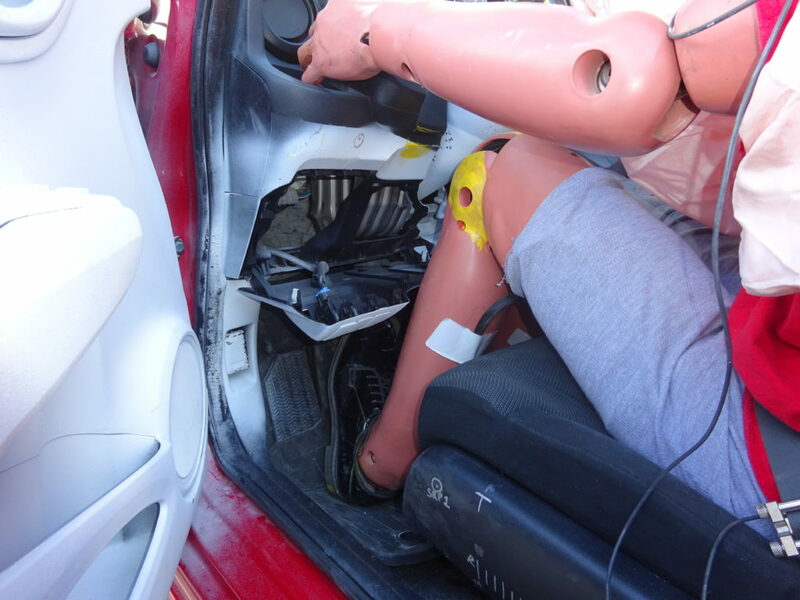 The question is not how it fares in comparison to the ruined Fit in the Seebachan case, it’s how it fares in comparison to the IIHS version and a control, undamaged (and obviously unrepaired) 2009 Fit to be tested later this month. We won’t know those answers until likely next month. 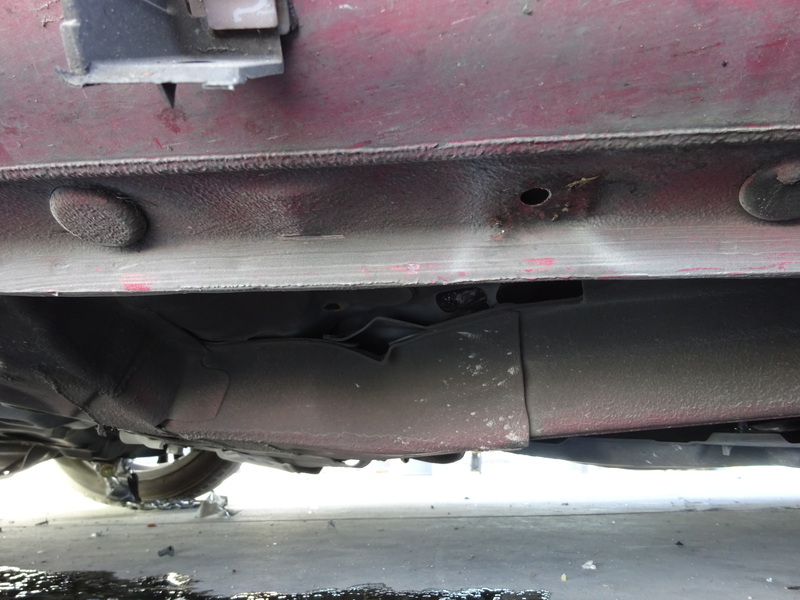 But one indicator might be found in the frame rail, which breached from the impact. Here’s a couple of shots of the test car contrasted to the IIHS’ images. 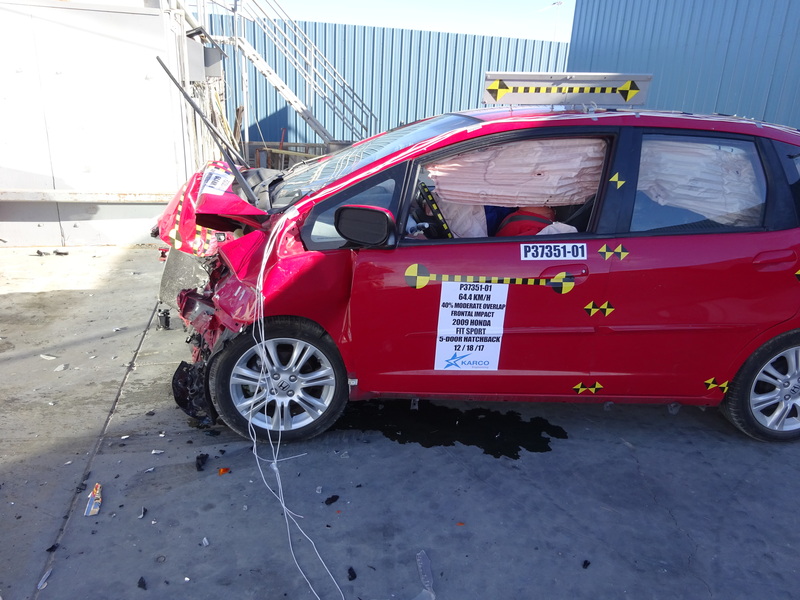 “The vehicle crushed just like we expected,” Tracy wrote of Monday’s test of a red 2009 Honda Fit with non-OEM repairs mimicking those done on his clients Matthew and Marcia Seebachan’s car.